Intermec's rugged Low Profile Durable Asset Tags have been designed to provide superior performance and high durability on a variety of surfaces at a low cost. 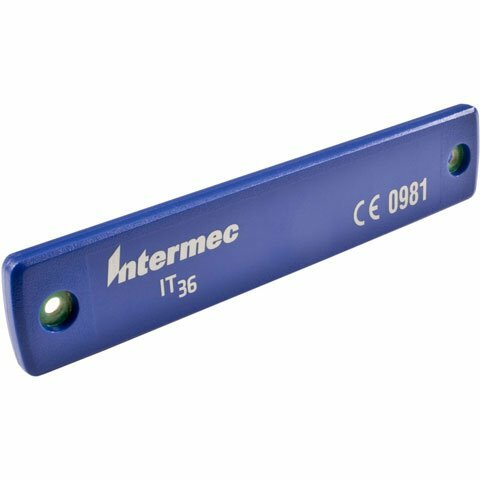 Utilizing the latest generation of Gen 2 silicon supporting 512 bits of user memory within a small, durable form factor, Intermec's Durable Asset Tags are suitable for tracking a wide variety of assets. The IT36 is tuned for a wide frequency band to include both FCC and ETSI regions and is optimized primarily for non-metal surfaces, such as reusable plastic containers and wooden and plastic pallets. Specs: 4.39" x 0.86" - 10/Pack	 Call for price. The Intermec IT36A0010 is also known as Intermec Technologies	INT-IT36A0010	.